My friend Simon and I are doing something very silly, but for a very good cause, so I’m begging for sponsors. 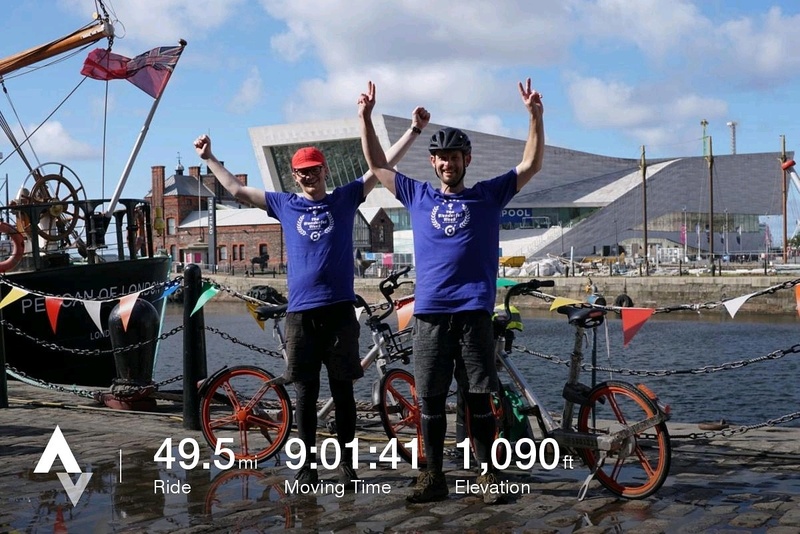 We are going to be riding from Manchester City Centre to Liverpool Albert Docks, and back again. Around 60 miles of cycling …….. on Mobikes. Yep, those Hire bikes with the plastic orange wheels with a max speed of 5 miles per hour. This silly venture is all to help raise funds for veteransgarage.co.uk, which is a community project created to restore a Grade 2 listed WW2 airport terminal building into a base for a classic car and motorcycle restoration garage. Supporting North West Veterans suffering from recent combat stress, the garage will also work to alleviate some of the loneliness and isolation of the older generation. At the same time, this project will restore this listed building to house a vibrant and buzzing community club house for car, motorcycle, scooter, and aviation enthusiasts. All ages and genders will be made to feel welcome at this central hub, which will boast stylish lounges, club meeting and business facilities, and dining space with incredible food and beverages. If you feel like supporting us in this crazy venture then you can head over to our Fundraising page and sponsor us on there. We are going to try and photograph and document the day as best we can so will be able to share the results with you once we return – neither of us are particularly fit, or even regular cyclists so this is probably a terrible idea – but I guess that adds to the fun. How far have you cycled on one so far?I did 3 miles and it was horrible. 60 sounds like very hard work. Good luck! Yeah about 3 miles is the biggest distance I've done too. Well worth a fiver. Done. Done - good luck tomorrow! When I go to the website there is a list of corporate sponsors. 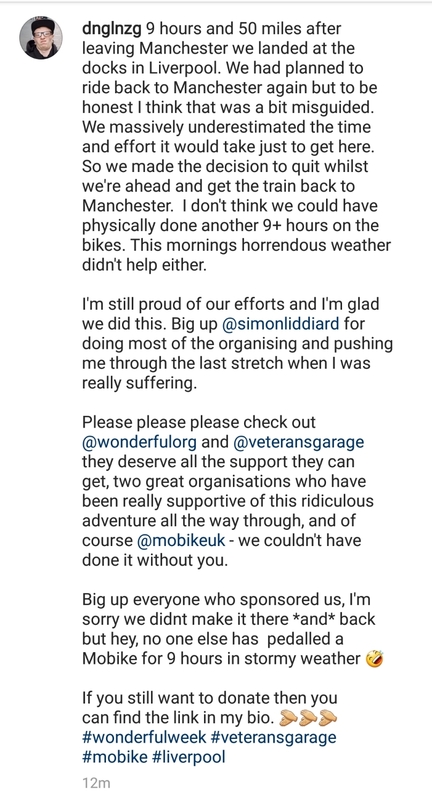 http://veteransgarage.co.uk/corporate-sp­onsors/ Couldn't you get some of these organisations to sponsor you in return for a bit of exposure? I'm not sure I fully understand the project, good luck anyhow.